Bhari Gan is a traditional dramatic art form found among the Rabha Tribes of Assam in Goalpara and its neighbouring areas. It is basically consists chorus singing by a group of performers with some dramatic representations. 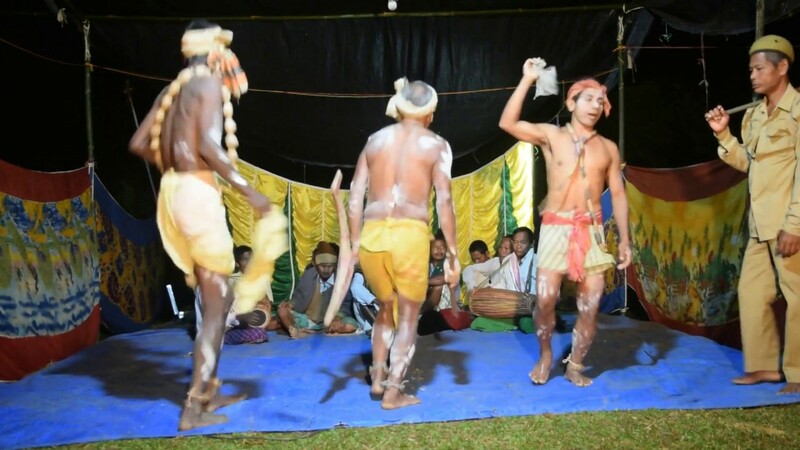 The main constituents of this folk form are - the Mul who lead the performance, the associates of the Mul called Palie, the players of musical instruments such as khol (drum) and jhalie (cymbal) and the performers who enact the character roles. The themes of the Bhari Gan plays are mainly from episodes of the Ramayana and a few from the Mahabharata. The story progresses through the singing and important sequences of the narration are portrayed by actors with masks.